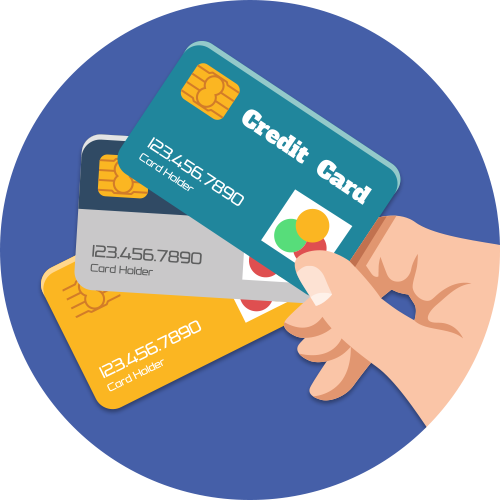 One of the most common questions I get by people new into the hobby is “what is the best credit card to get if I’m starting out?”. I wish the answer was simple but it’s really not because everyone has their own specific situation so without knowing your specific circumstance, it’s hard for me to give a recommendation. People that tell you that Card X is the best card out there either don’t know what they are talking about, have projected their needs and goals onto the person asking the question or are simply trying to push their referrals. I truly try not to do that because I’ve seen behind the curtain and I know that when people are given bad advice, it reflects poorly on our hobby. Rather than tell you that card X, Y or Z are the best cards out there, I’ll give some circumstances that are common with people starting out and then provide my recommendations based on that. At the end of the post, I’ll provide the credit cards I would personally start out with if I were to begin this journey anew. Hopefully, through these examples, you will be able to understand where you might fit in and what cards might be right for you. There will be no referral links in this post. Instead, I always provide links to my reviews of the cards I mention so that you can be fully informed of the card’s benefits before you sign up. Within those reviews, there are affiliate links and while I would very much appreciate it if you used them when you sign up, I can’t stop you from going directly to the credit card company or using another link. What I find is that when most people start into Travel Hacking, they tend to aim low and it’s understandable because most people are coming from a situation in which they are used to traveling within North America in Economy Cabins. If you stick with the hobby, you will have a eureka moment when you realize that the real value of miles and points is when you redeem for premium cabin redemptions. That being said, let’s look at the most common situations. There are plenty in the hobby that look down their noses at economy travel and I find that to be a bit misguided. I agree 100% that when you become seasoned in this world, you should be looking at Business and First Class travel as your redemption of choice but most getting into it are looking for an extra trip a year within North America. If this describes you, I would say that a fixed value point program might be your best bet. The reason for this recommendation is multi-faceted. The first reason, and it’s probably the biggest, is that the point accumulation and redemption is dead simple to understand. There’s no need to understand sweet spots in programs, MPM, fuel surcharge or any of the other common issues most travel hackers face when trying to maximize their award redemptions. With a fixed value point program, you earn at a set amount and you redeem those points at a set amount. Whether it be car rentals, hotels or airfares, fixed value points offer extreme flexibility in redemptions but the trade-off is that you can never get more value out of your points than what is set out by the credit card company. Think of it as a cash back program but instead of cash, you get a cash equivalent for use on travel. My favorite card for these types of points is the Capital One Aspire MasterCard. If you want an in-depth review of the card, take a look at my review here but in short, you earn at 2% and redeeming the miles is as easy as charging the travel on your credit card and then going into the online system and applying points against the charge. For the Capital One Aspire, 1 points = 1 cent and you earn 2 points per dollar spent, which is a 2% return. What’s great about the Aspire is that unlike other programs out there, there are no tiers or complicated formulas to worry about. You can literally purchase a $1,000 airline ticket and go in and apply a single Aspire point to reduce the cost of your ticket to $999.99. On the flip side, you could redeem 100,000 points to write off the entire $1,000 bill. It’s worth mentioning that with Aspire Points, you can even use the points to write off the taxes and fees, which is not always the case with fixed value point programs. The second reason fix value point programs make sense for domestic economy travel is that there are so many seat sales nowadays that when you weigh the challenges of booking an award ticket against the actual cost of a domestic economy ticket, you’ll understand that many times it’s not worth the effort. Additionally, you can take advantage of seat sales because the less the ticket costs, the fewer points you have to redeem to write off the cost. One of the most common destinations people want to travel to is Europe and it’s far enough away that you would want to fly in a comfortable seat. Whether that be in Business Class or First Class, nothing beats jetlag like being able to sleep like a baby on the plane. As I mentioned earlier, the redemption of miles for premium class cabins (Business and First) provide the most value for your points. If you are redeeming your miles (almost regardless of program), you can expect to get about 1 – 2.5 cents of value per mile/point, whereas with Business or First, you quickly approach 8 – 15 cents of value per point so it’s easy to see that you get a lot more value when you redeem for premium cabins. To understand more about how we measure the value of points in the Travel Hacking world you should refer to my article on CPM. If you are looking to travel to Europe from Canada, I would recommend collecting Aeroplan miles to get there and maybe Avios points for the internal Europe flights. This post isn’t about how to get the flights, but rather which card will help you get there the fastest but if you want to read about how you might want to redeem these miles for a mini-round-the-world trip, I would suggest taking a look at my series on the subject. 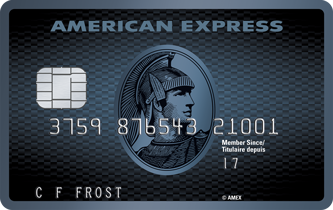 The cards that will get you there fastest are the American Express Membership Rewards (MR) Family of cards. The reason I suggest these cards is because of the flexibility that Membership Rewards points provide. Membership Rewards are what’s known as Transferable Points, meaning that you can turn them into different types of points. Why does this matter? Well, it matters because it provides you extreme flexibility with your points. 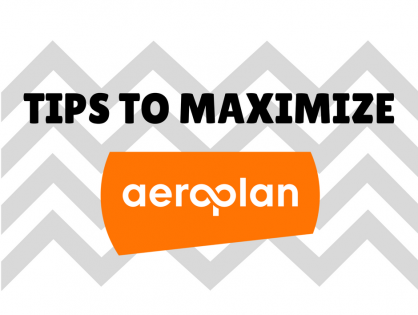 As an example, if you only had the TD Aeroplan card, you would be earning Aeroplan Miles only. 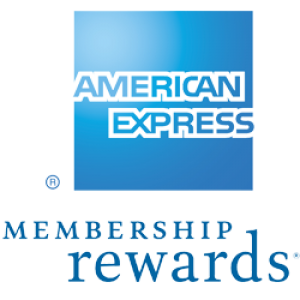 With AMEX, you earn Membership Rewards and thus you have access to 6 airline programs and 2 hotel program. Ultimately this means that you aren’t pigeonholed into one program. Rather, you can search across different programs and when you find what you want, you can then initiate the transfer from MRs to your program of choice. Most people will transfer their MRs to Aeroplan, Avios or SPG but the point is with MRs you have the choice rather being stuck in one program. Sometimes, you just don’t know exactly what you want to do with your points but know that you’d better get on this points train before it’s too late. I personally suggest to all new people in this game to give a good think on where you want to go and what class of cabin you would like to travel in because that can really help you narrow down your focus. However, if you are a free spirit and want the most flexibility, I would strongly suggest collecting SPG points. 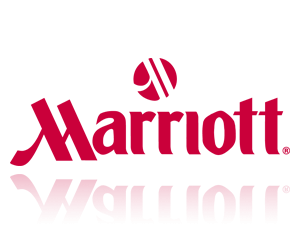 SPG are bar none, the most flexible and most valuable points in the loyalty industry. Below is a list of 36 airlines you can transfer SPG into. If you look at ANY established miles and points bloggers, they will ALWAYS tell you that SPG points are where it’s at. It used to be that earning SPG was very difficult but with a few different products from American Express, earning SPG is easier than ever. With the SPG cards, you earn 1 SPG point per dollar spent regardless of the type of spend but if you are looking for something that provides an exciting category bonus of up to 5x, you should look at the American Express Cobalt Card. The sign-up bonus structure of the Cobalt is a little more complicated than the other AMEX cards I posted above so I would suggest reading my review of the card here so you can get up to speed, but essentially, what I love most about this card is the 5x multiplier for groceries, restaurants, food service and food delivery. With the Cobalt Card, you earn a less valuable version of Membership Rewards called Membership Reward Select (MRS). The difference between MR and MRS is that with MR points, you can transfer to airline partners but with MRS you can only transfer to hotel partners, but that’s not a problem if you are trying to collect SPG points. Here’s a thought to ponder. Imagine you are out to dinner and the bill comes for $100. You have an SPG Personal Card and a Cobalt Card in your wallet. What do you use? If you paid with your SPG card, you would receive 100 SPG (1 SPG per dollar spent) but if you chose the Cobalt, you would receive 500 Membership Reward Select (5x at restaurants, grocery, food service and food delivery) and you could then turn those MRS into SPG at a 2:1 ratio, garnering you 250 SPG (500 MRS = 250 SPG). Pretty easy decision and a pretty exciting prospect, especially if you buy a lot of groceries or spend a lot at restaurants. It’s probably not much of surprise that I have all the cards above except for the Platinum Card but not because I don’t love it. I do. It’s probably the best card in Canada, at least for me but I have a very specific reason what I don’t currently have it, and that’s because I have the US version of the American Express Platinum Business, which provides me with many of the same benefits as the Canadian Personal Platinum. American Express Platinum Personal – a fantastic card that gets me lounge access to almost every airport in the world even if I’m flying in Economy Class. Also, the benefits it provides in terms of sign-up bonus (60,000 MRs), hotel status (hello free upgrades) and the insurance coverages makes this a very attractive card. I know many people get hung up on the $699 Annual Fee but I show you how to reduce that to $299 in my review of the card. For $299, this card is an absolute no-brainer. American Express Gold Business – 40,000 MRs once you meet the minimum spend and NO ANNUAL FEE for the first year, makes this an automatic card for me. The minimum spend requirement of $5,000 may be a bit much for some but you do have 3 months to meet it and if you put your normal monthly spend on the card, most people have no problem meeting the spend requirements. 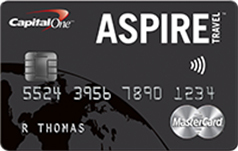 Capital One Aspire – 40,000 Aspire Points as a sign up ($400 value) with a $150 annual fee makes this the first card with an annual fee I would consider. One of the reasons I would choose this card is the ease of use of the points as well as the fact that it’s a MasterCard. While 90% of the retailers I frequent accept American Express, let’s face it, there are some that just don’t and probably never will. In that situation, I always pull out my Aspire card as my first non-AMEX card to use. American Express Cobalt – There isn’t a better card to get in Canada or dare I say, even the world if you want to collect SPG points. The category bonuses with the Cobalt Card are very generous and you can easily convert your Membership Reward Select points to SPG. There is even a 2x multiplier on travel, transit, rideshare, and gas! I know that my reviews and card choices are heavily skewed towards American Express but there is a real reason for that … they offer the best points programs and the most compelling cards in Canada. This is not just my opinion, many of my fellow travel hackers are also heavily invested in the American Express ecosystem. I have personally held all the major points-earning cards from the major banks including TD, Royal Bank, Scotiabank, BMO and CIBC and none of them hold a candle to American Express when it comes to flexibility and ease of use. I’m always hopeful that credit card issuers will provide new and exciting products to the Canadian marketplace but outside of AMEX, it doesn’t seem to be happening. For this post, I have some different opinions, in regarding to the cards that you would get from scratch. Capital One Aspire, as you said, this is a great card for people who like to use fix value point program. It has great insurance coverage, straightforward rewarding system, and easy-to-use redeeming option. Also, it is widely accepted. If I would only get one card in my wallet, this card would be the one. However, I don’t see this card as a good back-up card, due to its high annual fee, redeeming option, and higher restriction for applying. To me, I would replace C1 Aspire with Rogers Platinum MC, or MBNA rewards WEMC. The reasons are because their points can be used as statement credit, relative good rewards system, and lower annual fee. Just like you, I love to use Amex cards as my main too. I will only use back-up card only when amex is not accepted. Thus, I don’t see myself accumulating lots of points on the back-up card. So, having the option to use them as statement credit makes more sense to me. I won’t charge my travel expense on my back-up card at any time. Instead, I will put it on Amex gold. Even when using fix value program, amex gold is on par with C1 Aspire. So, I don’t need the great insurance coverage that comes with C1 Aspire. Last but not least, C1 Aspire’s $150 annual fee is a lot when comparing with Rogers MC’s $29. It doesn’t make sense to me to pay $121 premium just to get 0.25% increase. Rogers just made it easier to redeem the points as statement credit, which makes this card a bit more attractive. Thank you for the article, you do a fantastic job! I am really just getting started and have read through most of your articles now and truly appreciate your perspective (as I am also from Calgary). My wife and I are planning a trip to Australia and I was wondering if the Alaska miles are the best approach (through SPG and Alaska VISA) or should we be sticking with Aeroplan? The Aeroplan seems to have more rewards available in Business than Alaska, which only seems to ever have Economy Plus on Qantas? Thanks you again for the awesome blog! Thank you for your comment and thank you for reminding me that the MBNA Alaska card should be in my list of cards to get. Being in Calgary, Alaska makes a lot of sense to get to Australia, though I will warn you that Australia is probably the most difficult redemption from North America. I was able to get to New Zealand using Cathay Pacific and Alaska (YYC-SEA-LAX-HKG-AKL). From what I understand, using Alaska partners to Australia/New Zealand is easier than trying to get there with Aeroplan. Thank you for the quick reply! I will keep my points as neutral as possible for the time being until we get closer to our intended travel date. Enjoy your upcoming trip, looking forward to reading about it. One often overlooked option with Alaska is Fiji Airways, as it does not show in Alaska award search (use Qantas for search). Getting to Australia via Fiji is always a cool option. And in general, getting space to AU/NZ using Alaska points is waaaaay easier compared to Aeroplan, but some routes are very limited for business redemptions. Plus Alaska often runs “point purchase” promotions which can be used to top up smaller amounts. 2. No MBNA Alaska Airlines World Elite Mastercard? As someone who just wrapped up MBNA Alaska churning, the card is no longer as churnable as it was before… TD taking over changed the policies, so I can only have one at the time, and have to wait a minimum of a month between cancel and re-apply. The landscape is constantly changing and keeping in-times can become real time-drag. MBNA Alaska is still an option, but approach with caution, TD might is starting to show (and abysmal service too). Is this out of date already? The capital one website doesn’t say anything about points per dollar, just miles, and nothing about 2 points per dollar, just 1 mile per dollar. As always, Jayce, an excellent post with detailed information and well constructed recommendations. At the risk of being banished from your fan club, I’d to speak to Air Miles. It’s one of my secondary programs, because it allows me to save Aeroplan miles for the more valuable redemptions. There have been so many occasions when a short trip from Halifax to Ottawa, Toronto or New York can’t be had for fewer than 25,000 Aeroplan miles a shot. Those three trips, on Aeroplan, burn the equivalent of half the cost, in miles, of business class to Australia. Those short trips represent lousy value for Aeroplan miles, but a satisfactory return for Air Miles that can be accumulated very easily. The best card at the moment is the BMO World Elite Air Miles Master Card. The FYF and 3,000-mile sign-up promotion is back on for a limited time. The companion pass seems to be missing from this promotion, but the 25% discount (on miles) is handy. Another is the American Express Air Miles Platinum Credit Card with its 2,000 miles sign-up bonus. It comes with a $65 annual fee, but the $50 GCR rebate brings the cost down to $15. There are a bunch of no-fee cards with 500 Miles sign-up bonus on the first purchase. The AMEX AirMiles Credit Card can be had with a $30 GCR rebate, and BMO has several cards that are just crying out to be churned. I haven’t done it yet, but I’m thinking Air Miles could also be used for a short flight to reach a major hub offering a sweet redemption with another program. And enjoy a “free stopover” in the process. I’m also fearful of how Aeroplan’s future without Air Canada will look for Aeroplan members with departure airports that aren’t major hubs. I’m confident Aeroplan will forge some attractive partnerships across airline alliances, but how will they be accessible unless Aeroplan partners with WestJet, Porter or other domestic carriers? I’m thinking my Air Miles might become more valuable than they are at present. Which card would you recommend me using the most after introductory bonus for travel? I’m Canadian. Thx in advance. Nice stack! I would recommend Amex Cobalt for the 5x categories, Amex Gold for the 2x categories, Amex Plat & BMO WE MC for everything else. I would use the cobalt until July 31 and we find out what happens with SPG and Marriott. 4% cash back on all eligible gas station and grocery store purchases. 2% cash back on eligible drug store purchases as well as recurring bill payments. Who it not make sense to use this card for gas/giftcard purchases?